So much has happened since I last posted. I’m sorry for the long delay. Please accept my apologies. Some bloggers have trouble coming up with topics to write about but my problem is I’ve got too much. One thing I’ve been busy with is cooking and baking. I didn’t cook or bake much for almost three years so I’m thrilled to be back in the kitchen again! My mom was visiting and I didn’t have anything special for breakfast except for day old buns and eggs. So I whipped up these Meringue Breakfast Buns. 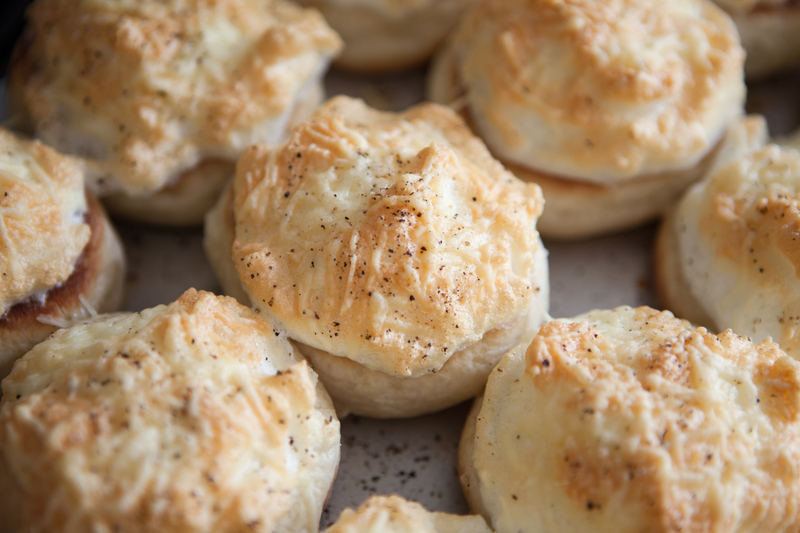 They were delicious and perfect for guests. 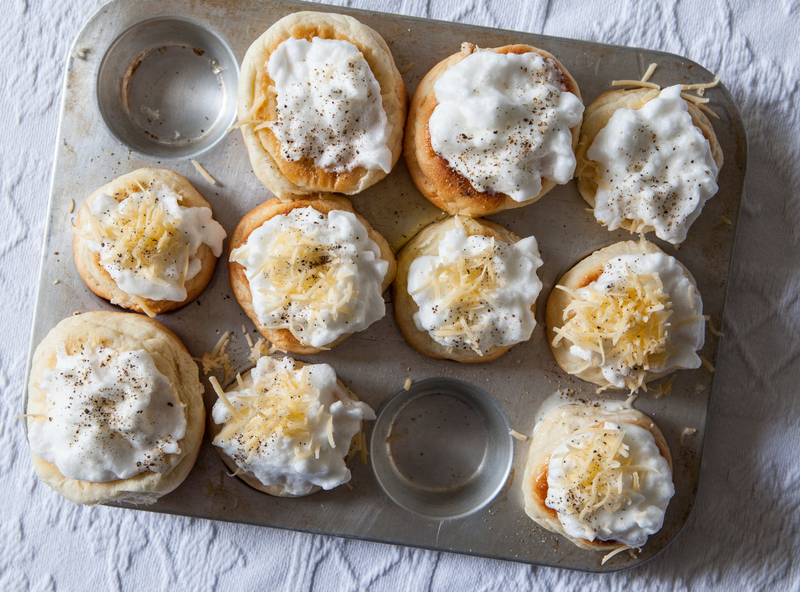 Meringue Breakfast Buns – an egg yolk in a bun topped with cheesy meringue, served with Balsamic Cucumber Raspberry relish and sour cream. You can make any quantity you want, but I like to make a dozen at a time and refrigerate the leftovers to eat cold for lunch the next day. The cheese won’t be crisp anymore but they are still delicious. They’re great for breakfast on the run too. ~ 12 small rolls, about the size of a small muffin or cupcake. This is a good time to use day-old rolls too. Start by preparing the rolls. This can be done the night before if you want to save time in the morning. Use a small paring knife to cut a piece out of the bottom of the rolls or buns. The portion I cut out looks like a shallow little cone. You don’t need to cut much out, just enough for an egg yolk with a little cheese. 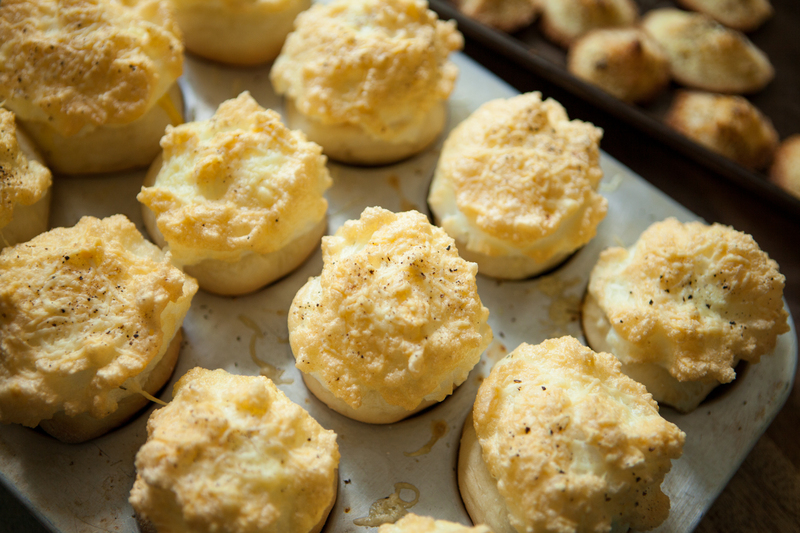 Place the rolls cut side up in a muffin tin. Brush the inside with olive oil if you want. I’ve used olive oil or softened butter or nothing and they’re all good. Slip one egg yolk in each bun. 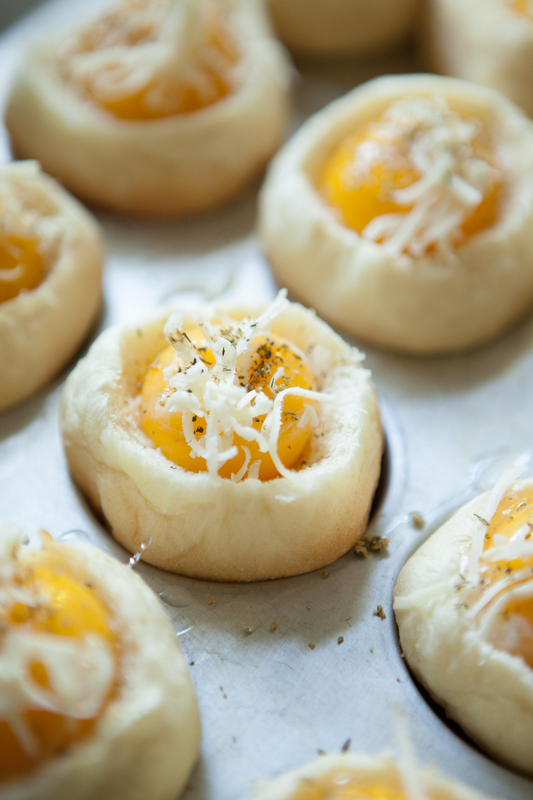 Sprinkle the egg yolk with a little grated cheese and herbs of your choice. Beat 3 or 4 egg whites with 1/8 tsp cream of tartar until fluffy. The meringue won’t look the same or peak the same as a dessert meringue that has added sugar. Don’t worry, it will still bake nicely on top of the buns. 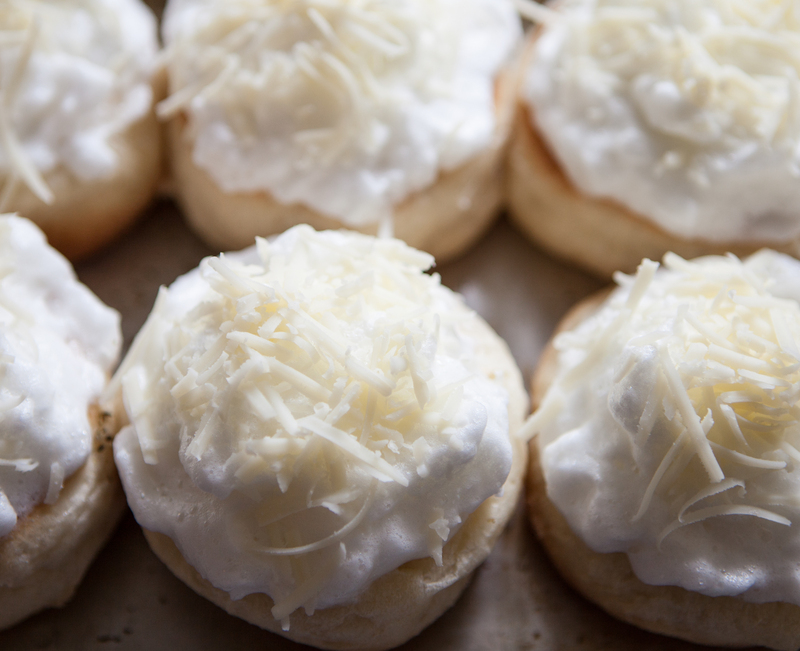 Sprinkle grated cheese on top of the meringues. 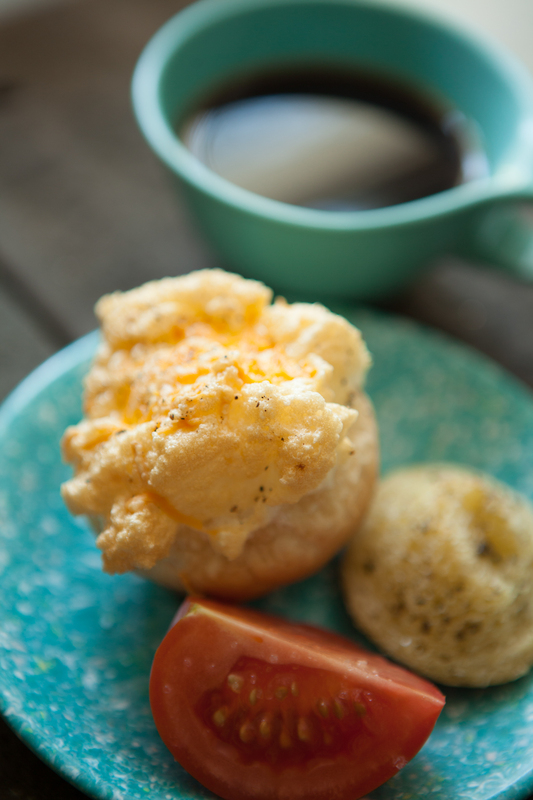 Sprinkle a little grated cheese on top of each egg yolk. Add a little sprinkle of herbs over each yolk. 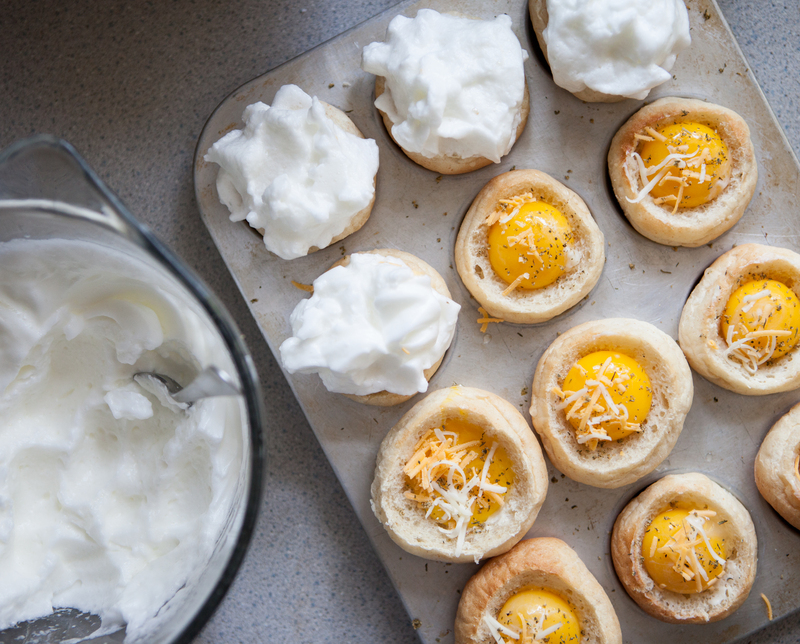 Use a spoon to spread meringue over each egg yolk. Cover the top completely. 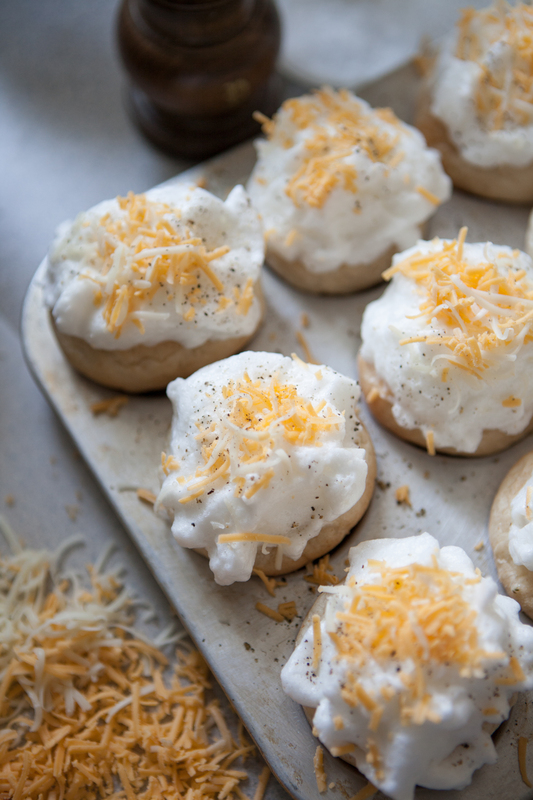 Sprinkle more cheese and salt and pepper over the top of each meringue. Here you can see I left some meringues without cheese. Cheddar cheese is great but I’m partial to asiago. 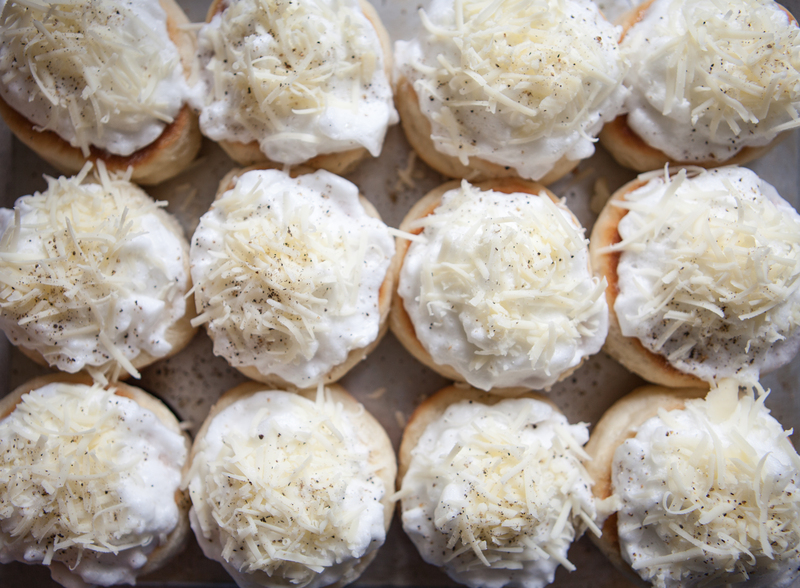 Grated asiago and dried herbs sprinkled over the egg yolk in the bun. Look at all that fluffy meringue! 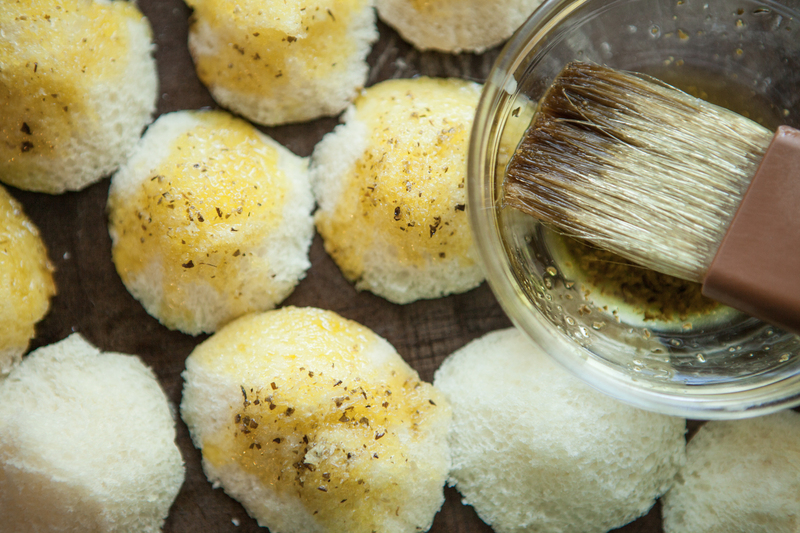 Brush the leftover cutouts from the rolls with herb dipping oil and place them on a cookie sheet to bake at the same time as the Meringue Buns. The little cutouts from the rolls are brushed with herb dipping oil and baked in on a separate pan. 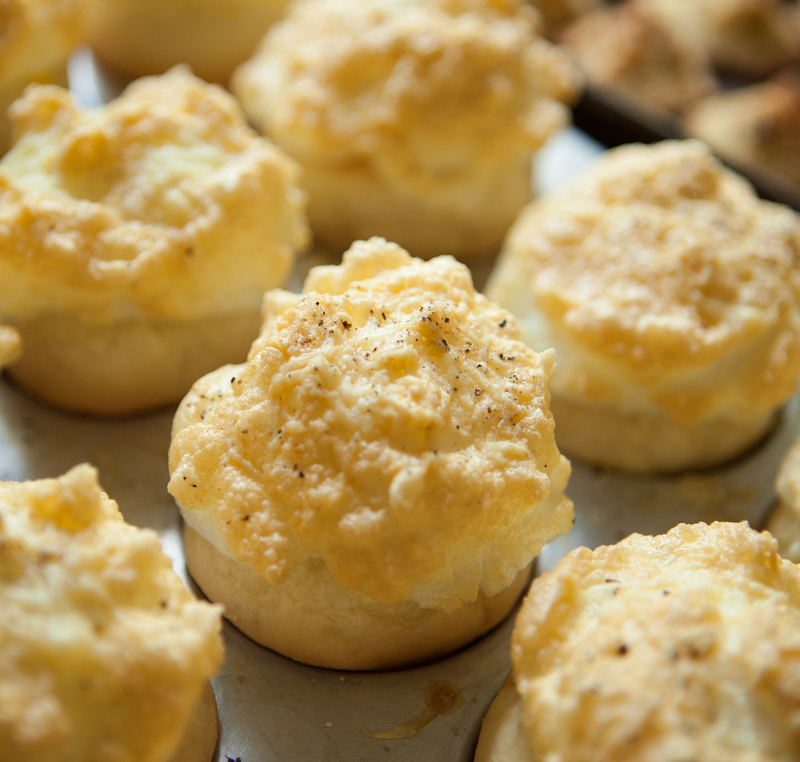 When picking buns to use, make sure they are small enough to be placed in the muffin tin. For this batch, the buns were bigger so they touched and barely fit in the pan. 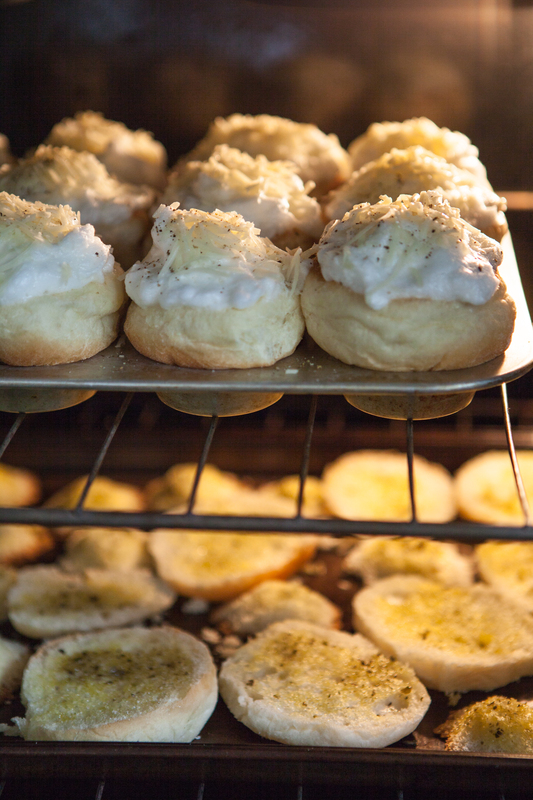 If the buns are a tight squeeze, try not to let the meringues touch when you spread the tops. 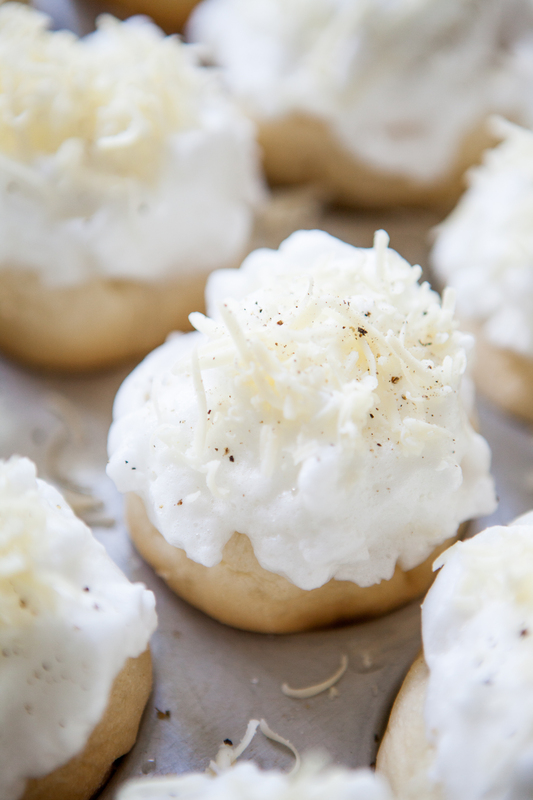 Try not to let the meringues touch so they can be separated easy after baking. All ovens are different. In my oven, a LIQUID center egg yolk takes 15 minutes, a SOFT BOILED egg yolk takes 16 minutes, and a HARD BOILED egg yolk takes 17 minutes. 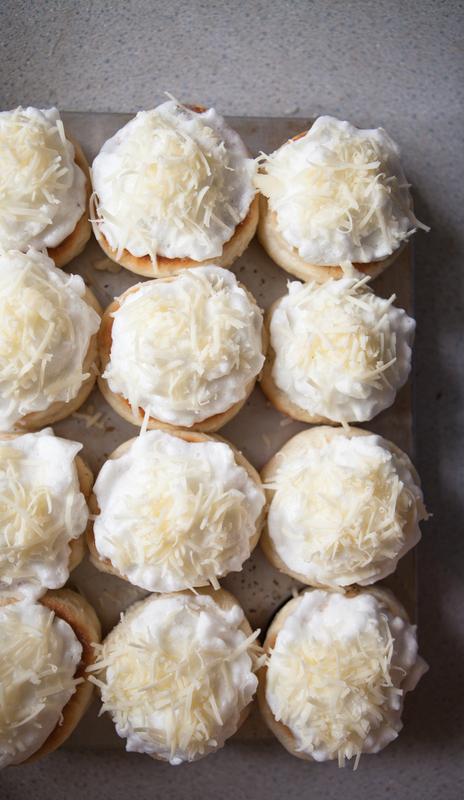 If you’re going to eat these cold the next day, bake 16 or 17 minutes. Bake brushed roll pieces for 10 minutes at 375. 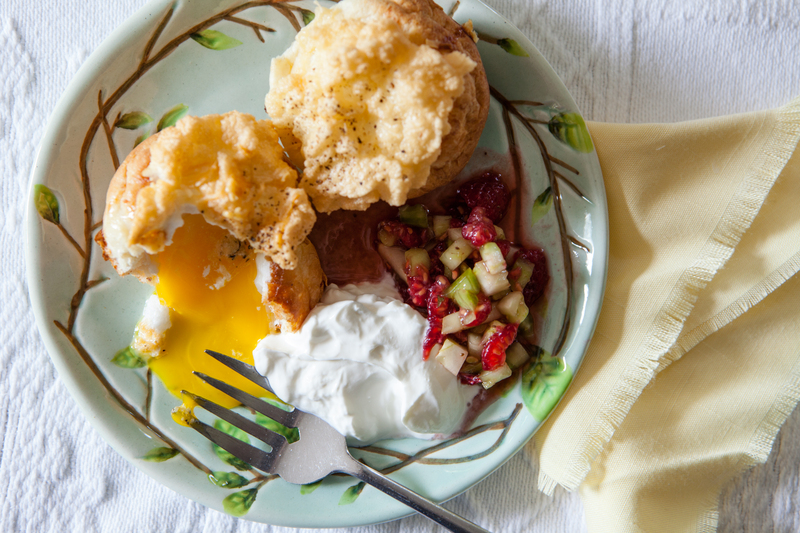 Bake Meringue Buns for 15 minutes for a liquid center yolk, 16 minutes for a soft-boiled yolk and 17 minutes for a hard-boiled yolk. 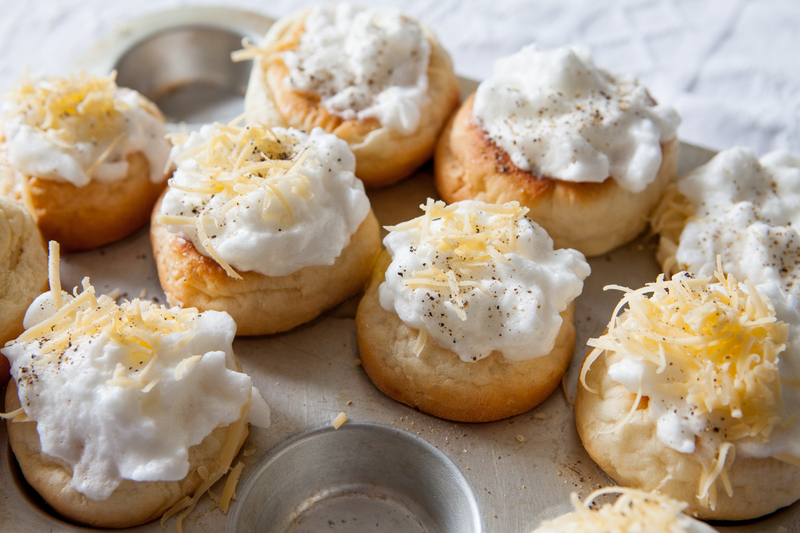 The cheesy topping on these is amazing! 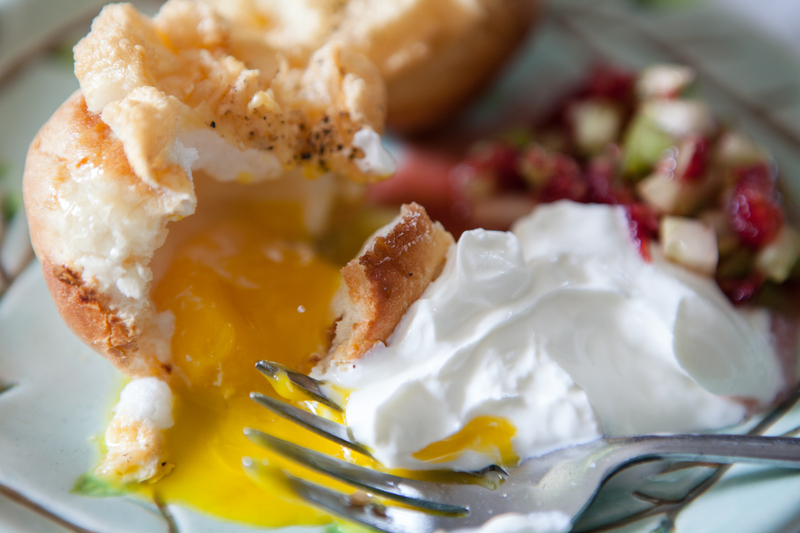 It forms a delicious crispy shell on top of the meringue! Fun to eat and Yummy! I spread the leftover, fluffy beaten egg whites in a medium hot skillet, lightly greased with olive oil, about 1″ thick and sprinkled herbs and pepper over the surface. When the bottom was golden, I flipped the egg white over till it was golden brown. 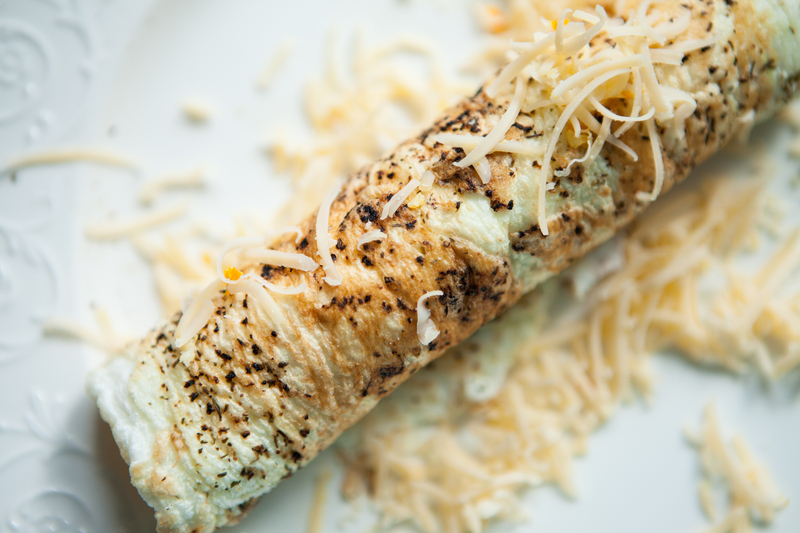 The hot baked egg white was sprinkled with cheese and rolled up. 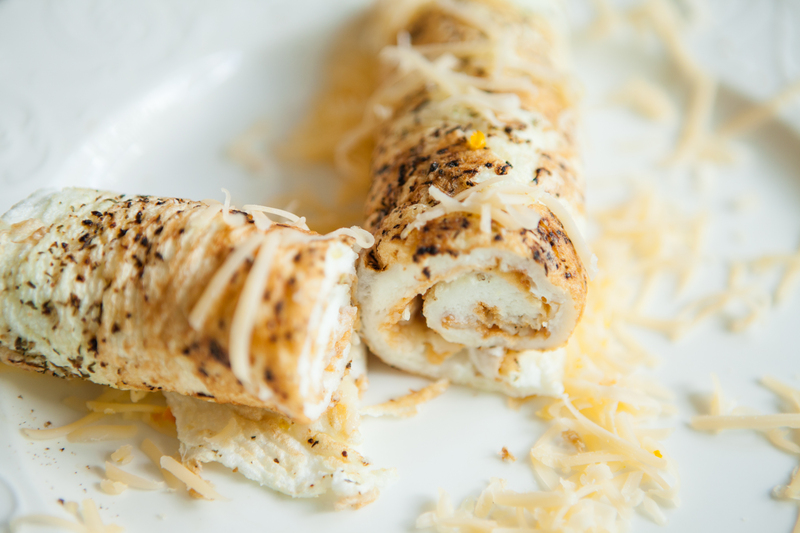 The cooked egg white rolled up. 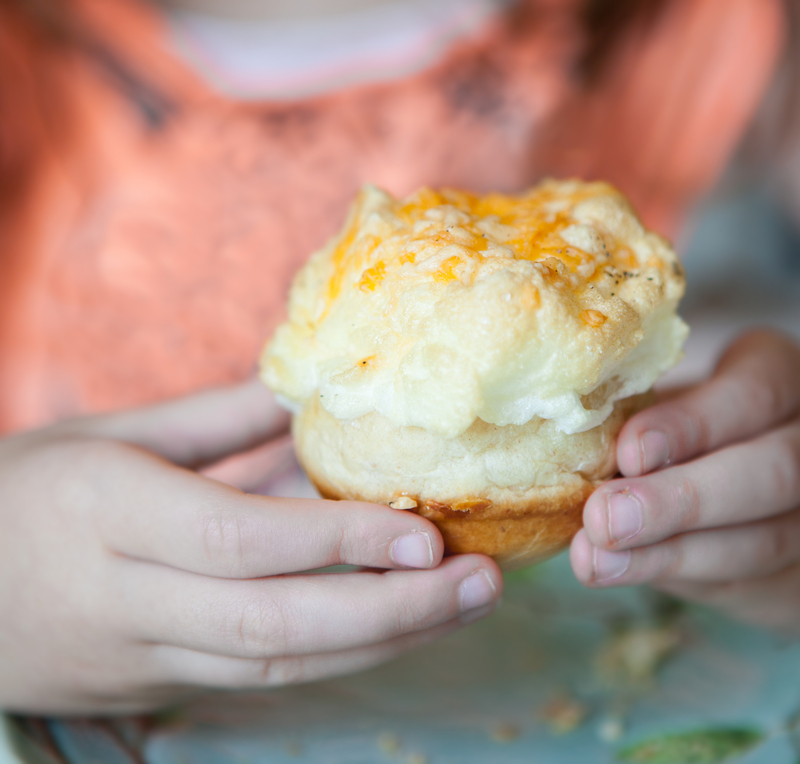 Meringue Breakfast Buns, with crisp cheese-topped meringue and hot, liquid egg yolk inside. To make the Cucumber Raspberry Relish, I simply diced a cucumber with raspberries and tossed the mixture with balsamic vinegar, boiled apple cider and a little salt and pepper. It was so good with the eggs! 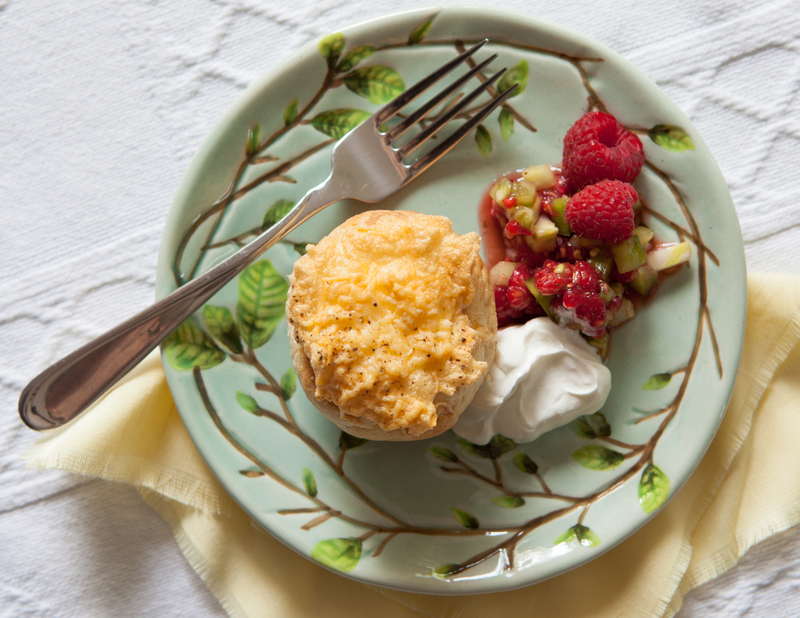 Meringue Breakfast Buns, hot from the oven, served with Cucumber Raspberry Relish and Sour Cream.